Well, not financially of course. But emotionally? Psychologically? Yeah. My fiancé introduced me to the series last year, just a few months ago. And I took to it like a salmon to the Sound. By the time I finish my homework for the day, my brain is dribbling out of my ears like gruel. I start babbling nonsense syllables over dinner. I sound like the schoolteacher in Charlie Brown. So my favorite pre-grad school pastimes at the end of the day–watching a TED Talk, reading literature, studying the history of literary criticism, or practicing my French–are all off the list. But why Dr. Who, of all things? I’m still not sure. It’s like finding yourself in the perfect relationship and needing to remind oneself exactly how this happened. But my best guess is that I grew up watching Star Trek, The Twilight Zone, and Quantum Leap. Serialized sci-fi is my comfort food. 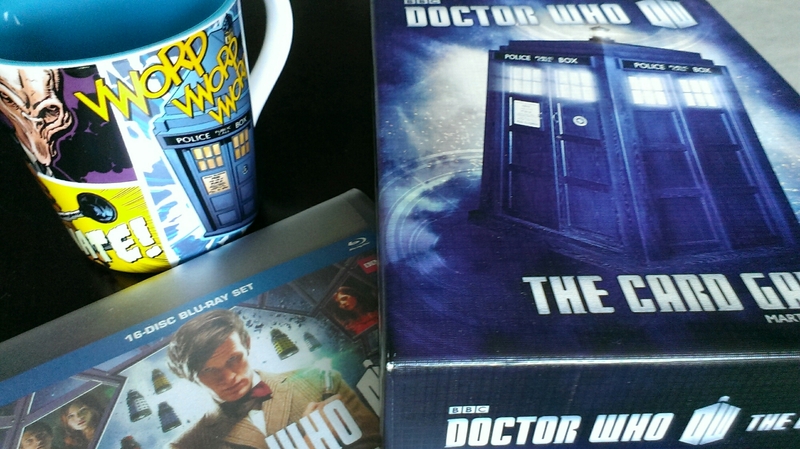 And while, as a writer, I love the brainier, darker strains of the genre in recent years–from Battlestar Galactica to the upcoming SyFy series based on the Expanse novels by James A.S. Corey–when it comes to ending a long day of working and writing papers, I’ll pick Dr. Who every time. Literally, every time. And here’s why: It’s fun. Because of the genre and the show’s target audience–families–I am assured that the Doctor, his companions, and really pretty much anyone who’s even decent won’t die. In fact, some of them can’t, and the few times someone does die, they don’t really. So it’s safe, too. No added stress and emotional tumult. Win. Also, it’s formulaic. Nearly every episode follows the pattern of a good whodunit: mysterious happening, Doctor investigates, Doctor struggles against evil, Doctor emerges victorious, and the mystery is solved. I watch formulaic television for the same reason everyone else does: It reassures us. Someone out there, as powerful as a god, is looking out for our planet’s welfare and nearly always succeeds. Hell, even when the universe flickers out, he initiates another Big Bang and hey! Everything’s back the way it was–but even better. Because that’s how Dr. Who works. And when you’re in a rough patch, who doesn’t need that? Is the show sexist? Hell’s bells, yes. Does it blatantly disregard everything discovered by our most brilliant minds, from Einstein to Hawking? You betcha. Does it sometimes disappoint? Sure. When River Song tells us the Doctor is about to experience his darkest hour, we know it’s not really going to be all that dark. All is not lost. Be of good courage. Or, as the Doctor would say, Allons-y, Alonso!